In order to have a straight line of stitching, you will need a seam guide on your sewing machine. The seam guide is the place you want the edge of the fabric so the stitching will create the correct amount of seam allowance that is called for in the pattern directions. If I had to say one single thing that will have you sewing a straight line of stitching, it would be, Don't watch the needle! Train yourself to watch the guide and not the sewing machine needle. The needle is constantly moving. If you are watching a moving needle, you will not sew straight! Watching the guide that is not moving and keeping the fabric at the guide allows you to sew straight. When I teach sewing classes, I require the students to test drive the sewing machine before we thread the machine or sew on fabric. This gives them time to learn speed control and master basic sewing machine skills. I often talk about handing out a speeding ticket when I hear a sewing machine start to zoom along. When you are learning to sew, controlling the speed of the sewing machine is an important step to controlling your stitching. Many models of sewing machines offer a setting for the speed from a turtle to a hare. When a machine does not have this setting, sewing without a shoe on is one way to gain control of the foot pedal. Another way is to find something that will fit against the foot pedal and prevent your foot from putting "the pedal to the metal" and disabling the machine from sewing at a fast speed. A sewing machine needle that does not properly penetrate the fabric while the stitches are being created can cause stitching to look crooked or like a narrow zigzag stitch. Using the correct needle for the fabric you are sewing is an important part of allowing the sewing machine to form beautiful stitching. You need to know your sewing machine. There wouldn't be so many sewing machines on the market if they were all the same. Knowing your sewing machine and its capabilities will help you solve any sewing problem that you experience. 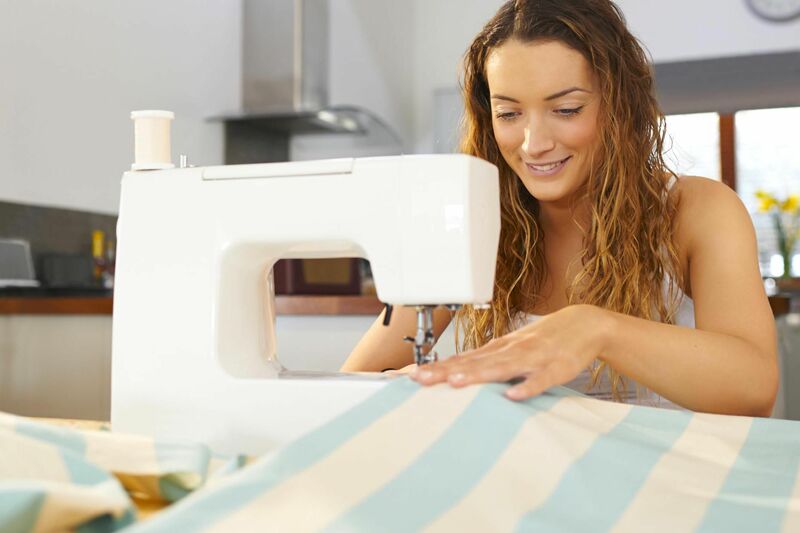 If you buy your sewing machine from a local dealer, the dealer offers lessons to help you get the most out of your sewing machine. A sewing machine bought from a box store or second-hand needs to have the sewing machine manual for that machine. Read the manual and practice the items in the manual that seem confusing. I don't know anyone who sat down to sew the first time and was able to sew perfectly on the first try. Sewing takes practice. Gather scraps of fabric and allow yourself to practice different sewing techniques. By practicing you will have more confidence when you start sewing an actual project. There are many free patterns for beginners and free patterns that use scraps of fabric so you can practice, achieve something while you are practicing and attempt different sewing techniques.